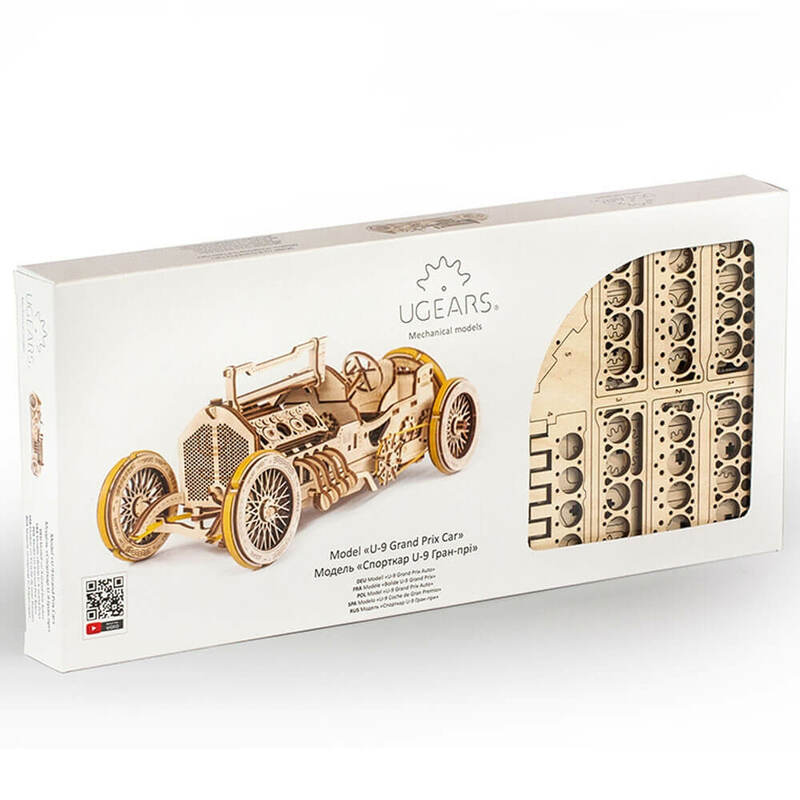 The Ugears U-9 Grand Prix Car Model is designed to simulate the all-action effects of the Formula 1 Grand Prix! 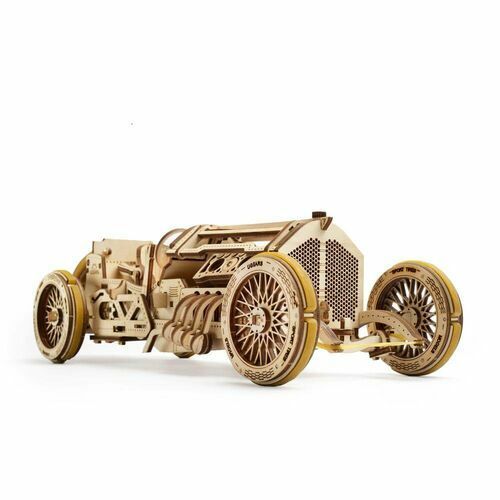 Your model is strongly based on a racing-sports car from the very first Grand Prix race in Italy in the early 20th century. 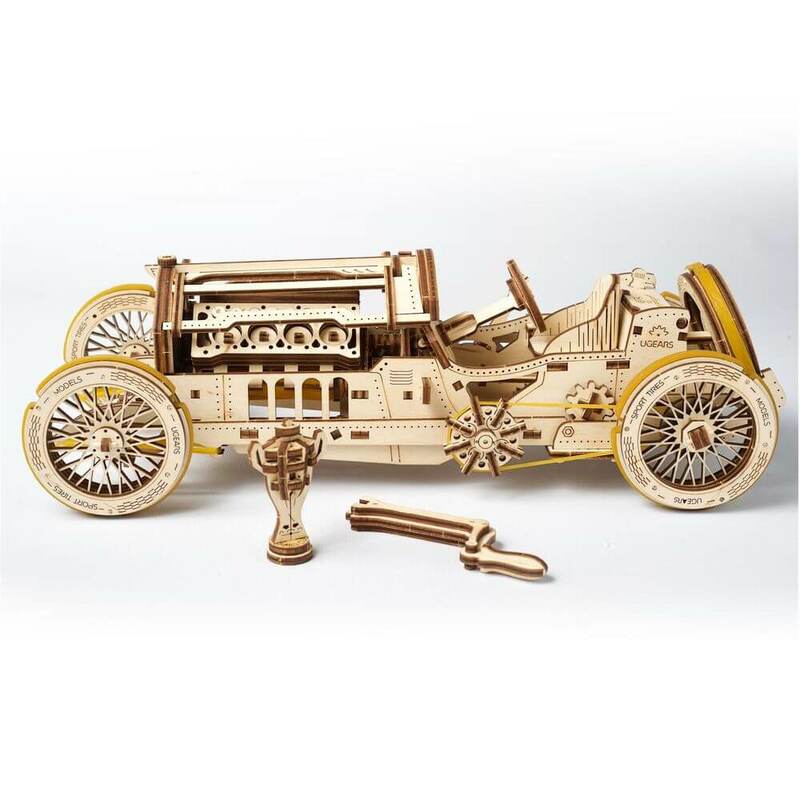 Beautifully crafted with wooden components, this model set produces a fully functioning machine powered by a rubber band engine! Under the bonnet, you'll find a delicate 16-valve V8 engine with a transmission that switches between idle, reverse and race ahead. You'll also find a spring-suspended fork system with rubberised sport tyres for rapid acceleration. 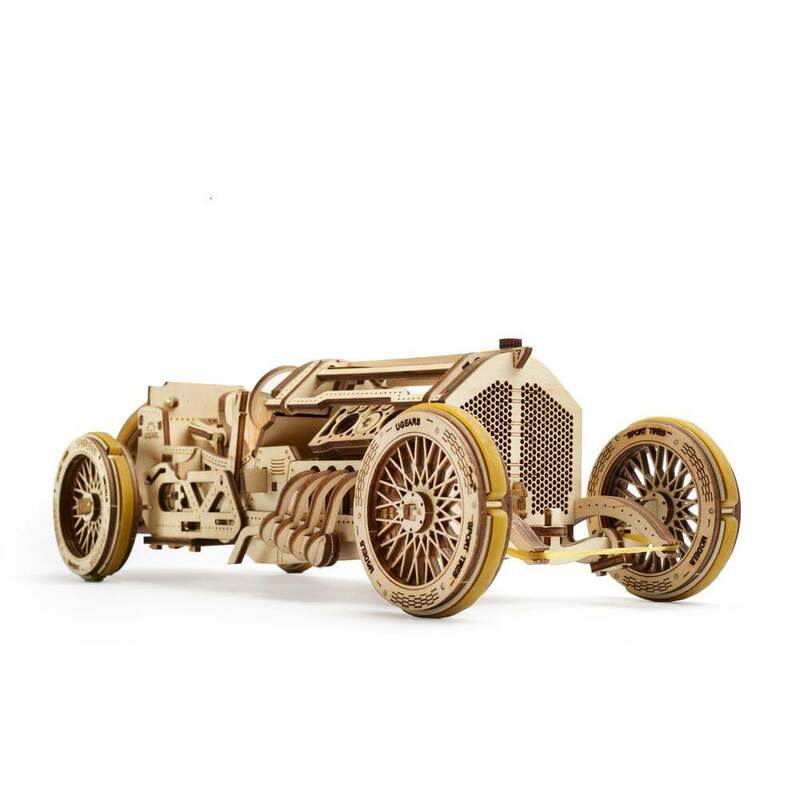 Use your very own hands to assemble this beauty from the laser-cut wooden plywood pieces. 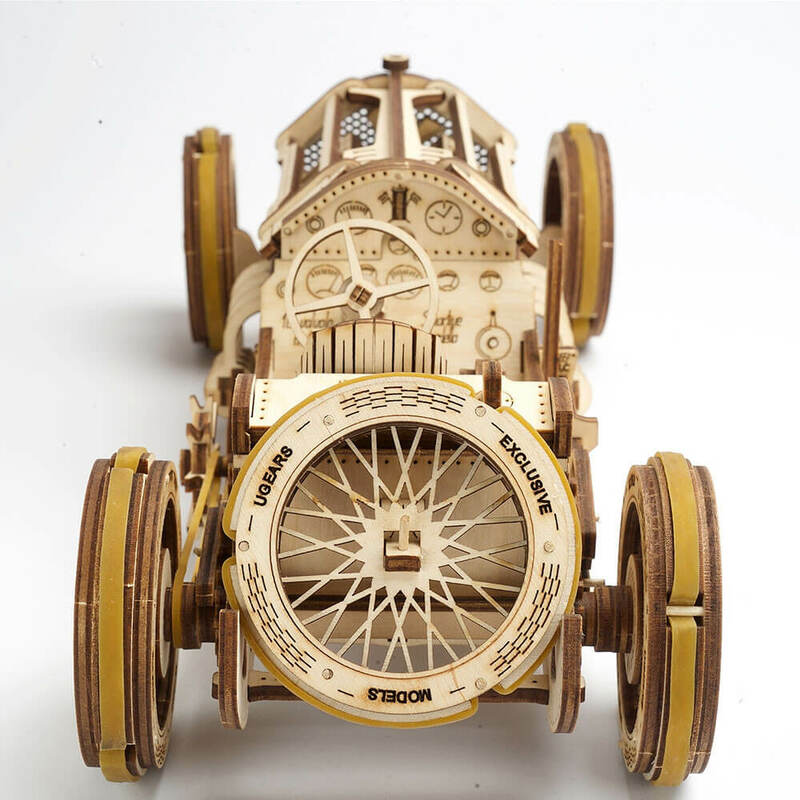 Then, crank the handle located in the front of your model and watch it race a distance of up to 10 meters! 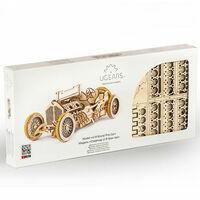 You will receive: 348 laser-cut colour-coded wooden pieces and easy to follow instructions in 11 different languages. 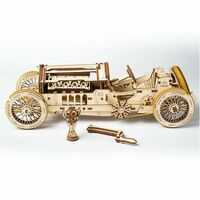 Estimated time for assembly: 6-7 hours (difficulty level intermediate). 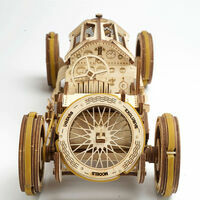 Made of high quality plywood, assembly requires no glue or cutting.